Tomorow's when we're supposed to start discussing "American Fairy Tales." held for ransom by bandits at the age of 2, when his parents were traveling in Italy. Subject: Re: [Regalia] banditti p.s. There are also "Banditti" in Shakespeare's Timon of Athens. Subject: [Regalia] "The Box of Robbers"
"fantasy is at its best when it takes place in a far-off region or long ago"
come to mind, such as George MacDonald's "At the Back of the North Wind,"
and most of E. Nesbit's books. of Robbers" tells the robbers they are "on Prairie Avenue, in Chicago." the wizard about the moral to this story." The moral, I suppose, might be: Let sleeping wizards lie. what Baum meant since he gave the other banditti common Italian names. people liked to use them. was as casual as his concern for consistency in other areas. >"fantasy is at its best when it takes place in a far-off region or long ago"
>come to mind, such as George MacDonald's "At the Back of the North Wind,"
>and most of E. Nesbit's books. print a long time: JOHN DOUGH and SKY ISLAND. As in "The Dummy That Lived" and "The Enchanted Types,"
magical heirloom in the family attic, just like "The Box of Robbers." supernatural as part of the natural world we know. stereotypes since those seemed to be what the broader adult audience wanted. But nobody minds when there are quick jokes for all ages of readers. popular writers of the time used, I believe. Gouie is the antagonist of the "Hippopotamus"
tale, but he's as smart, resourceful, and sympathetic as most other characters. working-class adults getting the worst of the deal. after forest animals (SANTA CLAUS) and trees (ROAD), as I recall. have seemed to Baum to reflect America *more* rather than less. > >"fantasy is at its best when it takes place in a far-off region or long ago"
> >come to mind, such as George MacDonald's "At the Back of the North Wind,"
> >and most of E. Nesbit's books. mention of Nesbit brought that to my mind. it depends on a hereditary monarchy. his usual pattern was to let in a lot of small inconsistencies generally. mermaids. But it's a part of this-world with an other-worldly flavor. in the attic in AFT and "Sky Island," and use of stereotypes in the stories. > I suspect they were the very first time Baum wrote about ryls and knooks. city have escaped from books used to build some of the walls. hills, my heart with rapture thrills like that above." I also sang this during the second war and I remembered it as "nooks and rills" also. >> circumflex on first e as fete with acute accents on both e's]. > have been the ones who made the error. MANUSCRIPT. His error was corrected by the time MAGIC was printed. > hills, my heart with rapture thrills like that above." "America (My Country, 'Tis of Thee)" has lyrics written by Rev Samuel F.
King"--so Baum and most of his audience would indeed have known it. and both terms can fit the meaning of the verse. lifetime, that phrasing seems to be a variant known only to Oz fans. words that Americans knew as a pairing. Subject: [Regalia] "The Girl Who Owned a Bear"
although maybe not thinking of any one specific such description. "The Girl Who Owned a Bear"
as wholes. Later than Baum (and probably not influenced by him) is P.L. Travers' "The Children in the Story" episode of "Mary Poppins in the Park,"
his anger on the child seems a bit ...unamusing. use again in QUEEN ZIXI. of Macvelt. While Baum sometimes has "the people"
temporarily found itself due to one of King Rupert's wishes. Macvelt. I'm not sure why. of a purse that's never empty is one that Baum would use again in QUEEN ZIXI. of Macvelt. While Baum sometimes has "the people"
Mo_ in Macvelt. I'm not sure why. No, she's shown as well within Mo, closer to Mulgravia than Macvelt. (although still colored pink, so as to indicate that it's part of Mo). would be closer to the Great Sandy Waste. > use again in QUEEN ZIXI. > is the Republic of Macvelt. While Baum sometimes has "the people"
> temporarily found itself due to one of King Rupert's wishes. Yes, the insertions seem to fit nicely with Baum's general mappings. > the Republic of Macvelt. While Baum sometimes has "the people"
hats more deftly than Popopo, with his literal approach, could. would have more results besides getting him out of imprisonment by Gouie. it's one of the weaker stories. > out of the penalty. didn't see that solution coming (even though I'd read the tales before). bit of sympathy from its title character to his antagonist. trying but didn't have room to expand on in his short stories. up) carelessly seem Entirely Appropriate. City"), but used in rather different ways. Boston only for a visit. > one that got made into a movie by his Oz Film Company. filmgoing audience pooh-pooh the comedy. > Boston only for a visit. silly things was inherently funnier than rich people in other parts. dead by that point, though. > Wizard seem to have a similar taste in elocution choices. demonstrate good elocution? It seems likely to me. > > one that got made into a movie by his Oz Film Company. > performers instead of special effects. another factor in Baum's choice of this tale for filming. > Vice President and wrote the melody now known as "It's All in the Game." from 1875 to 1893. And, as we know, a Senator is quite prominent in the story. "J. L. Bell" <jnolbell at earthlink.net> and "Nathan DeHoff"
himself, wondering if the best-sellers he had with Denslow, "Father Goose"
his day job. Like Uncle Henry and Aunt Em in "Wizard," the couple in "Pump"
able to escape it, it is shown from the point of view of the old couple. cost him no money. The only cost will be "the labor of digging the well. them in the same danger of losing it to their very own unboxed Robbers. 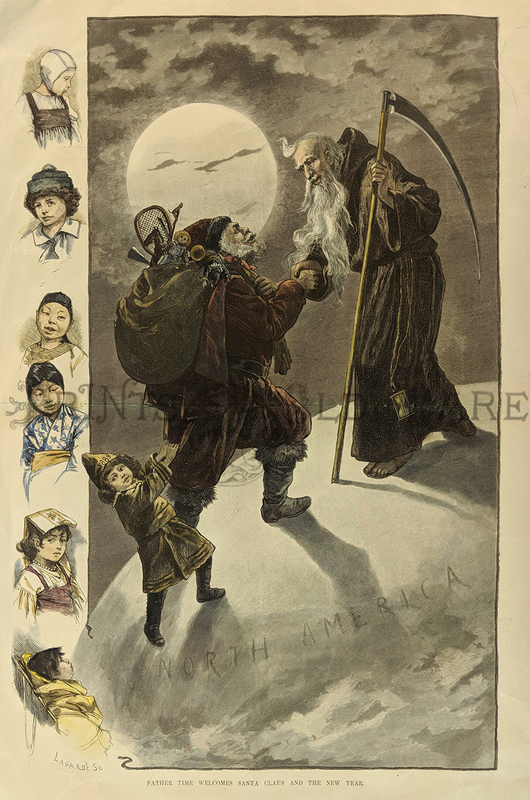 birds, which matches up partly, although not exactly, with the "Santa Claus"
both in "Santa" and in the short story "A Kidnapped Santa Claus" (1904). identified as the White Ryl, in "The Yellow Ryl" (circa 1910-1915). Shadows" (circa 1902) to go back to their humans. knooks accompany Nelebel to exile in San Diego in "Nelebel's Fairyland"
the reader to try to figiure out if, on the whole, that was a good thing. > himself, wondering if the best-sellers he had with Denslow, "Father Goose"
that followed the Radio Plays. neighbors--and that gets them in trouble. played straight, further reducing the story's humor. and Baumian, and I'm not sure that we won't find a precedent. think of it, the best known later example must be Kafka's "Metamorphosis,"
the food-sharing friendship of the King and the gulls is kind of appealing. than in the book, but is still fairly important in the book. "The Mandarin and the Butterfly"
"startles with the abruptness, brevity and elemental poetry of a haiku." children myself and shall not harm them"). closest to the victim's character. work, and I had trouble making out the words, but the music is lovely. > don't recall another example of doing it by capturing Father Time, though. traced back to a fourth-century bishop or an ancient Roman god. did Kilter just happen to be both a pixie AND Ak's assistant? > her confusion over the Duchess's baby. whether the mandarin retains his human memory upon turning into a pig. interesting to learn more about this magician. > traced back to a fourth-century bishop or an ancient Roman god. presented him thirteen years later, and Santa shows Nast's influence. apparently still codifying the popular images of these American icons. > on a hereditary monarchy. does lend an American flavor to Quok. monarch or a usurping dictator. > other people they've seen. Indeed, "Dummy That Lived" is in retrospect a dry run for JOHN DOUGH. Indian in JOHN DOUGH, and the Tin Woodman himself, according to Frank J.
ZIXI and YEW begin, and arguably SANTA CLAUS as well. > agree that she owns him. undermines his own planned revenge. didn't you stay in the book, where you were put?" "Really--" began the bear, and then he stopped short. at last. Now, you stupid creatures--"
Gladys' strange companions had all disappeared. which might force the story to make more sense. alive to bother recalcitrant customers! himself or people like him. for the second edition, after all. could have come up with both terms at the same time. public issue after Bostonians Harriet Lawrence Hemenway and Minna B.
plot, but I wouldn't mind seeing Jim again. world Father Time might feel as out of place as Jim does. what Baum had in mind, or that I find it any more satisfying. no word on what polar bear will play Iorek Byrnison. and her goal is to achieve one, and thus a shot at immortality. It seems significant that Baum hardly ever mentions this sense of "soul"
power the Silver Shoes gave her." man in the eye. I found him to be very straightforward and trustworthy. souls, but in the latter he denies some of that tradition. > closest to the victim's character. simply an awful boy who looks like a pig? > interesting to learn more about this magician. right for the ethnic type he'd chosen to write about. > heiress led him "a dog's life." > creative powers without the bother of sharing them with others. > Certainly Baum must have had days like this "accomplished wizard"
your homes "Sign of the Goose" and "Ozcot" if you want to be a recluse. doubt he identified with either man. > should like to consult the wizard about the moral to this story." can joke about the possibility of finding a moral at all. of AFT -- all interesting! (the equivalent Greek god) and chronos (the Greek for "time"). understand what sort of being he is and can assist him. > little girl's property, he undermines his own planned revenge. "Robbers"
get out and go after slow editors? > Types." Or indeed he could have come up with both terms at the same time. corresponds to the newspaper publication order? named a "Yew" character "Baron Merd." > Ryls could specialize in different shades of the same colors, though. blossoms on trees? Water Ryls to look after water-lilies and lotuses? Haot-sai is Fukianese for master of transformation. one who in using the book was himself metamorphosized by his own metamorphosis. make that story a better piece of literature. >> I think that, as with "Grogrande," which is French for "big-fat,"
>> that sounded right for the ethnic type he'd chosen to write about. > know much French, though, or he probably wouldn't have named a "Yew"
references are to JOHN DOUGH. of Noland in ZIXI: Tallydab and Tullydub. besides the JOHN DOUGH villain. I don't think even Hollywood could film GOLDEN COMPASS without Iorek. bears have proven popularity in CGI (those Coke commercials). polar bear in the film and provide a dialect coach. > and her goal is to achieve one, and thus a shot at immortality. > the butterfly is troubled by injustice. and Maud believed that they had lived many lives together. Actually, I think I've seen designs for the armored bears in the upcoming film. > between the two functions. and Confucianist practice involve an implicit belief in reincarnation. reincarnated part of any of these systems, though? >reincarnated part of any of these systems, though? incapable of being fully rational unless they make a special effort. or can be born for that matter, that's a whole thing in itself. does not. Where as the focal essense of a human does. has no soul and will not live again. beliefs, he would probably have written more about it. bureaucrat would himself have said and thought. shortlived, anyway; it doesn't matter whether death comes sooner or later." teaches me strange things. Do you promise?" life is longer than mine." the Chinaman. "I can easily do so by means of my magic." agent of nastiness made its life less enjoyable. "Have you changed two of them [children] into pigs?" he asked, at once. the other a freckle-faced, red-haired, barefooted newsboy." "Good! Good! Good!" screamed the mandarin, in an ecstasy of delight. bureaucrat would himself have said >and thought. of view would be that of an actual Chinese bureaucrat? the poor girl we see early in the tale. that's the case in other stories, such as YEW. do a couple more in AMERICAN FAIRY TALES. thus slips a bit of syncretism into what seems to be a traditional tale. and she passes it on *anonymously* to a even poorer family. turns out also to fill the roles of love interest and royal to be rescued. rejecting cash payment, another recurrent Baum motif. 4) Magical powers not correlated to morality or innate powers. decides to try the career herself since she has no better prospects. using your arts for the benefit of all mankind." rightful throne, though Baum used that himself on occasion. rather quickly tells him he deserves his fate. story, there's not really room to explore his wickedness. Phearse and King Krewl of Jinxland. the eggs. (Query: what did the EB have to do with the holiday before then? Bun Rabbit," the rabbit that helps Timtom in "Mo," the "Emerald City"
brownie looks like a normal, if stunted and ugly, human being). ryl, I think) who asks to be turned into Prince Marvel in "Yew." Easter Egg" don't add any locations outside America to Baum's map, but "MM"
did, so it's nice to have it available in on-line and in-print versions. tale is told of a bunny laying eggs and hiding them in the garden." least as early as 1682." 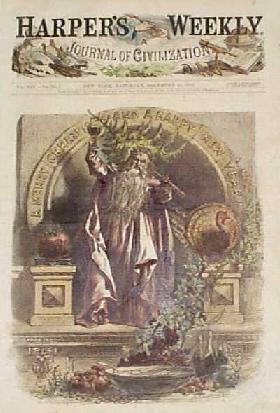 "GroS Brockhaus" seems to be a standard reference publisher in Germany. So presumably there is a 1682 book that its experts had actually studied. > (Query: what did the EB have to do with the holiday before then? fertile. Eggs, too, are a fertility symbol, the folklorists tell us. > Bun Rabbit," the rabbit that helps Timtom in "Mo," the "Emerald City"
onto yet. He happily appropriated Santa Claus, after all. > is told of a bunny laying eggs and hiding them in the garden." is probably accurate, but without any real source-info it's hard to be sure. that, then what -- maybe part of the meal? how he met and visited Santa Claus.